Time for our monthly chat about writing, with fellow Penguin author Kathryn Ledson, and mentor extraordinaire Sydney Smith. This month we discuss dialogue. 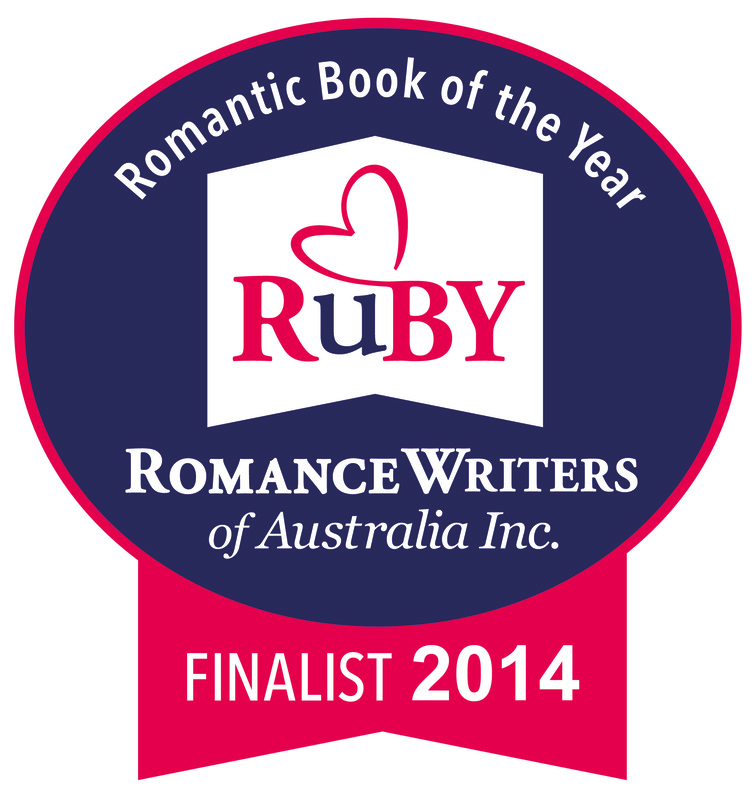 But first I’d like to share the news that my 2013 release Currawong Creek has been nominated by the RWA for a RUBY, their Romantic Book Of The Year Award. 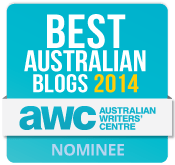 Thank you RWA, and good luck to the other finalists! Now, on to some craft talk! Dialogue is the most dramatic expression of conflict in narrative. It isn’t simply an exchange of information. Each speaker must have an agenda, and that should emerge in the course of the dialogue sequence. Preferably, it emerges at once, or nearly so. A good example is a man and his new bride disputing over where to place the hideous vase her grandmother gave them for a wedding present. Amy: Let’s put it on the hall table. Then the old battleaxe can see it whenever she visits. James: But, honey, it looks like a mutant spaceship. What about if we put it in the toolshed? Amy: What’ll I tell her when she comes to dinner next week? She’ll ask me about it. James: Why do you care? You don’t even like her. Amy: I do like her. James: You always call her the old battle-axe. You only call her Granny to her face. Amy: All right, I hate her. I hate the way she inspects the window ledges, like she thinks I wipe them down with my dirty socks. James: So let’s cancel dinner next week. Then we can bury the vase in the backyard. Amy: No way! She’s going to die in the next ten years, and I’m the one she’s going to leave her rare coin collection to. The vase is going on the hall table. James: Sod’s law. When people are hanging out for some old bird to die, she’ll live to a hundred and fifty and leave the coins to a cat home. And that’s the other thing dialogue should do: it should characterise the speakers. The white space caused by snappy dialogue gives the reader a break. Dialogue brings you into real time. It plonks you firmly in the scene and the middle of a conversation. You might even feel like you’re intruding on an intimate moment between two lovers. How exciting! Through dialogue, we learn about characters. We hear their all-important voice. The way they speak to each other, the way they react verbally, can tell us so much about who they are. Especially characters who don’t have a point-of-view in the story. It is through their actions and especially dialogue that we discover important things about them. And very importantly, dialogue is a great way to show not tell. John’s boss Helen stared through the window at the parklands across the way, but John knew she wasn’t really seeing anything. He spoke to her. She took a moment to respond, quietly telling John he needed to call the office and give them the bad news – that the suspect had been apprehended, but that he had a water-tight alibi. John knew this was bad news. Very bad. Helen punched the wall suddenly, shouting a curse. By using dialogue we can lift that scene right out of the doldrums and give it zing. As I said, if it’s done well, it’ll draw us closer, bring us right into the scene, in real time, and show us plenty about what’s on those characters’ minds. ‘You need to call the office,’ Helen said quietly, staring through the window. When characters speak, we get a sense that something’s happening. And there’s nothing I love more in a story than when stuff happens. Yes, the version with dialogue is a lot better. It’s concise. It does everything the scene needed. I agree with all your points about dialogue. Dialogue varies the texture of a story. It takes it from the internal world of the characters’ thoughts and feelings to the external world of dramatic interaction. Both have a role to play in narrative. The trick is to know when to use dialogue and when to use narrative (all those bits except the dialogue). You know, I’ve assessed hundreds of manuscripts over the years and discovered that a lot of writers think dialogue is lively just because it’s dialogue. But it’s as dead as a nail if it isn’t used properly. It isn’t a substitute for narrative, for example. That bit of narrative is best shown from the daughter’s POV, as long as it also includes something about how this car’s arrival advances the story. And simple exchanges of info are out. Oops. I added in a bit of something unexpected to relieve the tedium of that kind of dialogue. This is how people talk in real life (bar the foot massage) but in narrative, dialogue is heightened and compressed. There are different kinds of dialogue. I quite like the efficiency of indirect dialogue, and it has its place in small doses. Then there’s direct dialogue, the most dramatic form. 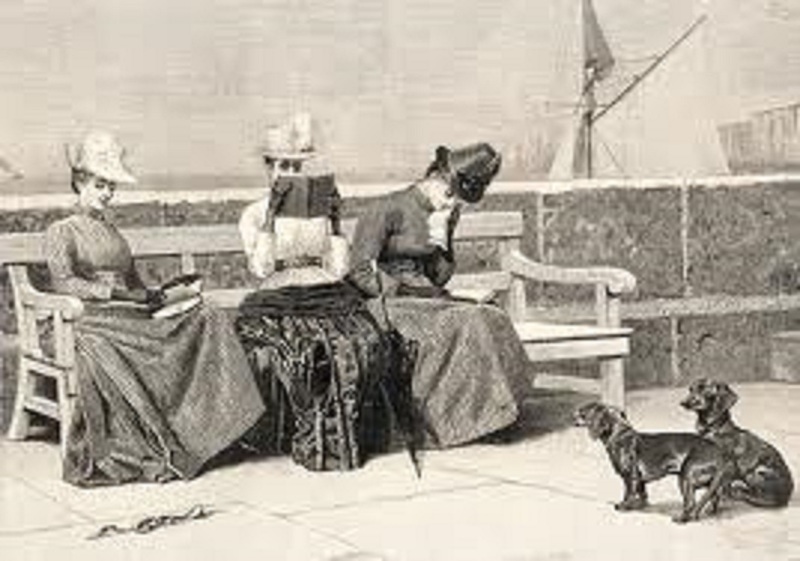 The reader listens in on a conversation. I sometimes mix the two. It’s a quick way to give the gist of a longer conversation. One of the things I love about writing dialogue is that it’s not like normal speech. There’s no regret about the undelivered, clever line that’s remembered seconds too late. My characters are on the ball and there’s no insufferable small talk. And on dialogue tags? I use as few as possible, and am firmly in the said camp. Readers take in said almost subliminally, so it doesn’t intrude into the world of the story. Alternatives to said (muttered, laughed, crowed, whispered, repeated, etc) sound corny to me. I sometimes can’t resist a character snarling his lines, but baulk at adding an adverb. He snarled fiercely? Overkill. One way to avoid a speech tag is to follow the dialogue line with a beat, an action by the speaker that reinforces what he/she is saying. – ‘Is there nobody inside to open the door?’ I hallooed, responsively. – ‘Nor-ne me! I’ll hae no hend wi’t,’ muttered the head, vanishing. And my Golden Rule for dialogue is the same for any other part of my writing. If it doesn’t move the plot forward, don’t do it! I so agree with you about Joseph in Wuthering Heights. I always laugh when he opens his gob. I think Emily Bronte was so infatuated with Yorkshire dialect that she couldn’t stop herself. I always think the best way to convey dialect or a foreign accent is through grammar and syntax. I have to say, though, some writers are good at dialogue and some are not. Those who aren’t tend to keep it to a minimum – which is right, as far as I’m concerned, if you’re ill-at-ease with it. Sydney Smith is a writing mentor, teacher and author of short stories, essays, and The Lost Woman, a memoir of survival. She is currently writing The Architecture of Narrative, a book about how to plot and structure fiction. She offers writing tips at www.threekookaburras.com. If you have a question on any aspect of writing, feel free to visit her at The Story Whisperer. This entry was posted in Books, Writing and tagged Australian Fiction, Australian Women Writers, Book Giveaway, Currawong Creek, Dialogue, Direct Dialogue, Indirect Dialogue, Kathryn Ledson, Romance Writer's Of Australia, Romantic Book of the Year, RUBY Award, RUBY Finalist, RWA, Sydney Smith by jenniferscoullar. Bookmark the permalink. -grin- Now you just have to win!